When it comes to camping, you want to be able to enjoy good food and chilled drinks wherever you are. If you are taking goodies with you before you leave, the best way to keep them fresh is by using a chilled cooler camping bag. These bags can be perfect for keeping food items dry, as well as drinks chilled. If you’ve never purchased a cooler before, then it may be a little difficult knowing exactly which product to go for and which brand is best for you. No need to worry! In this article we have sourced three of the best coolers for camping. Mier has a super cooler bag which features a unique design. We take a look at its special features below. Mier bags are professional bag manufacturers who know what a quality bag requires. All of their bags include attention to detail and are guaranteed to last a good amount of time. Sometimes with cooler bags, it can happen that a bottle or food items leak during transit. The good thing about the Mier cooler is that it features a leak-proof liner interior. This means it is easier to wipe clean in the case of any spillages occurring. We all love to enjoy a bite to eat outside in the open, and with this cooler bag you can be guaranteed a fresh lunch no matter where you are! Whether you are camping or simply going for a picnic, the Mier cooler has got you covered. It helps to keep beverages cold, food warm and most of all fresh! Not only does this cooler bag have a large capacity and keep your food goods extra fresh, but it also features a stylish and trendy design! With a peach and blue color combination, it certainly is attractive. It features padded shoulder straps for extra comfort, dual handles with Velcro closure and durable buckles. 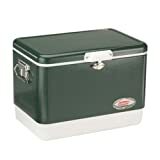 The next trendy cooler featured on our list is the Camping cooler by Homitt. 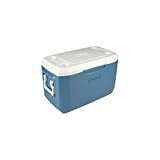 This is a durable cooler which is suitable for any trip you have planned. We take a look at its key features below. A few customers complained that the material in the bag split not too long into ownership. 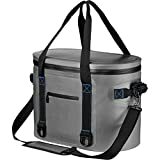 Another cooler for all your camping needs, the Homitt soft cooler provides an insulated cooler is lightweight to carry and allows you to fit a lot of goodies inside. When you are taking food and drinks to enjoy on the go, you will want a cooler which has enough space for everything. With the Homitt cooler you do not need to worry as it is the perfect size and will allow you to fit a large amount inside. One of the best features of this bag is its insulation. With thick high-density closed cell foam, it manages to keep food completely fresh. The heavy-duty liner included also removes any sweat or leaks from occurring, as well as resisting mold and mildew, which is something crucial when food is involved. An airtight zipper also prevents any hot air from getting inside. Holding a fully packed cooler bag can often be quite strenuous and hurt the shoulder, especially when it isn’t a bag of high quality. The Homitt bag however features padded detachable shoulder straps, which make it much more comfortable to carry around. It also features side handles for another mode of carrying, giving the user two different carry options to choose from. 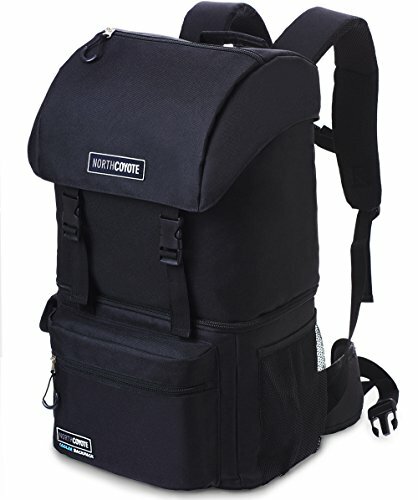 The final camping cooler on our list is the backpack cooler by North Coyote. This cooler features a slightly different design in comparison to the others on our list, but still provides great cooling! We take a look at its features in a little more detail below. Some customers have experienced the zipper breaking not too long into ownership. The multipurpose cooler by North Coyote is the perfect option for mountain hiking. It features a large capacity, allowing for a good amount of storage, and at the same time is guaranteed to keep your food and beverages fresh on the go. 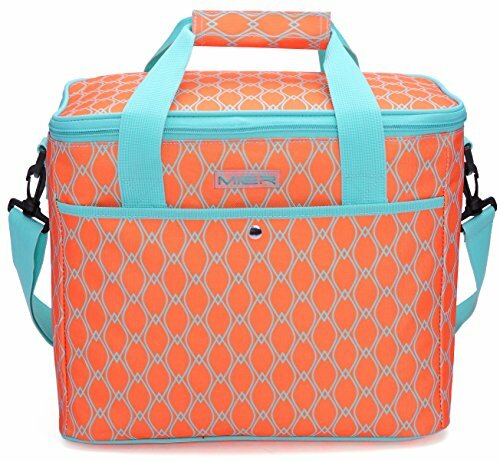 This cooler features a large 17L insulated compartment for all your favorite food and beverages. It also includes a total capacity of 42 liters, so you can be sure to fit everything in without any worries. This cooler is the best option for all you hikers out there. 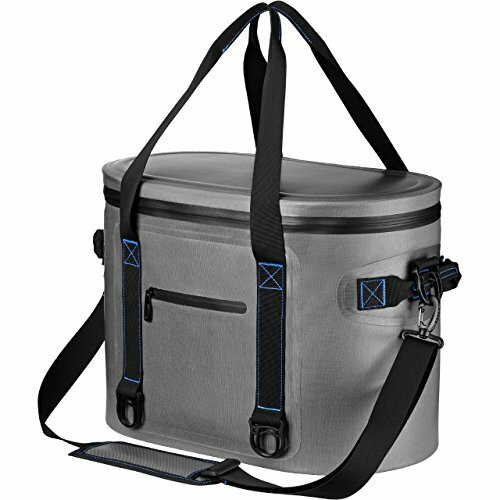 It features a backpack design which means the cooler can easily be lifted on your back. It features a large storage compartment, chest and even waist straps for more stability. 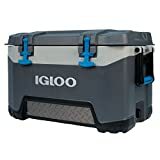 Which is the Best Cooler for Camping? 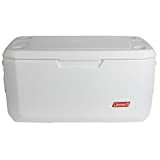 All of the coolers on our list are guaranteed to provide you with a good storage solution for your food while on a camping trip, for work and even for picnics. If you are shopping on a budget, the best suited option for you is likely to be the Mier soft cooler bag as it is the most inexpensive option on our list. If you are a person who enjoys hiking, or simply prefer carrying backpacks rather than side bags, then the North Coyote design is definitely a good option in this case. 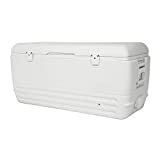 We believe all of the coolers on our list are able to satisfy you and hope that you find something suitable for your next trip.